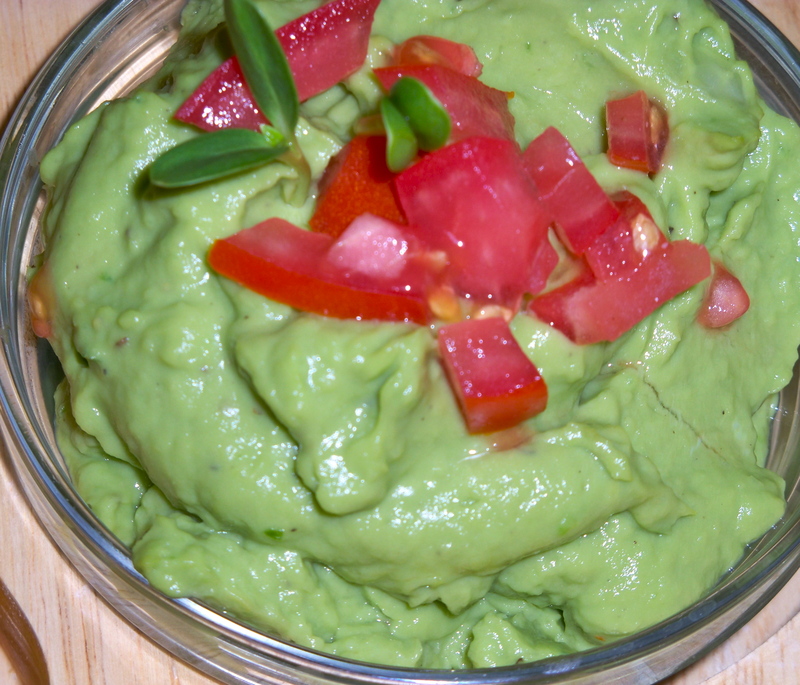 Take avocado, jalapeno, garlic, lemon juice, olive oil and fresh ground pepper into food processor. Pulse for 30 seconds until smooth and creamy. Put into a bowl, top with diced tomatoes and sunflower sprouts. Great for dips, as a sandwich spread and sauce over tofu or chicken. Great on salads, wraps and more.